You know the rest but if you don't, we are here to tell you. When life hands you lemons, you make lemonade! And after this rainy season giving us all kinds of lemons from snow storms to power outages, making lemonade is EXACTLY what we will do! So we thought, hey, why not share one of our Fluff Spring/Summer time favorite's with you! These will be sure to quench your thirst and give your body a cool refresher, from the office to the living room. With 3 fresh lemons, use the lemon squeezer to squeeze lemon juice into a measuring cup. You should fill the cup until you reach 1 cup full. With 1/2 sugar and 1/2 water, pour both into a warm sauce pan and mix together until the sugar dissolves. We call this the sweet syrup. This will help to balance out the sweet and sour taste in the lemonade. When complete, pour into a cup. 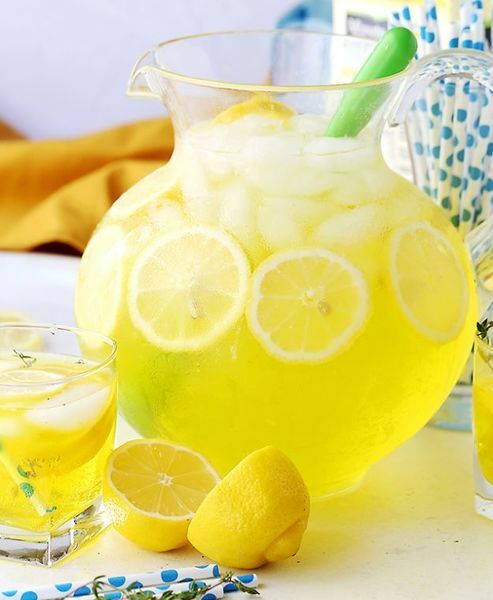 Pour the freshly squeezed lemon juice, the sweet syrup and 4 cups of water into your 1 gallon jar. Stir and taste until you achieve the desired flavor. How does the condition of my hair affect its health?